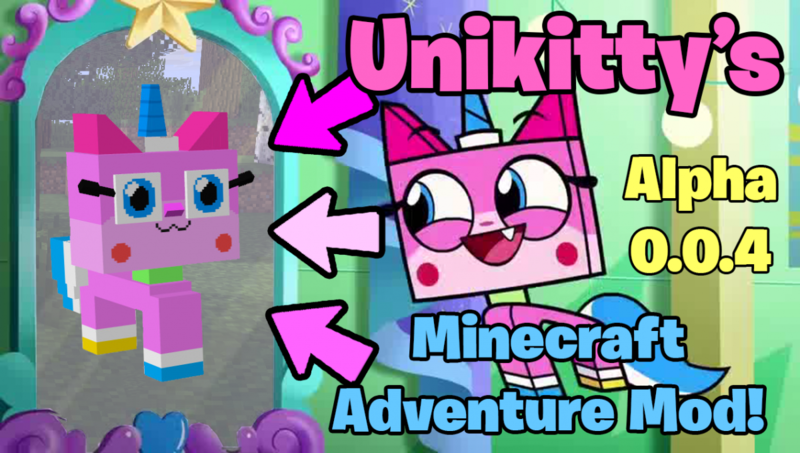 Unikitty and it's crew is adventuring out into the minecraft world! Unikitty looking her mirror in it's minecraft form! Unikitty Mod is a mod that adds Unikitty and it's crew into Minecraft! If you don't know what Unikitty is, It's a cartoon created by the LEGO Co. & Cartoon Network that can be found in cartoon network & other local cartoon channels. DISCLAIMER: THIS MOD IS CURRENTLY IN ALPHA NOW SO EXPECT SOME CHANGES AND NEW FEATURES IN THE FUTURE UPDATES! Please give us some feedback even it's a neutral or negative one. But I appreciate if you giving us some good feedback or some suggestions to this mod. Also please give us some ideas for this mod so we're going to make that for the next update! Credits for me working with the mod and credits to Unkitty Wikia for showing all the images and ideas for me making this mod possible! Unikitty's AI has been updated. Mod Banner is now added! Alpha 0.0.2 - Master Frown is up to no good! 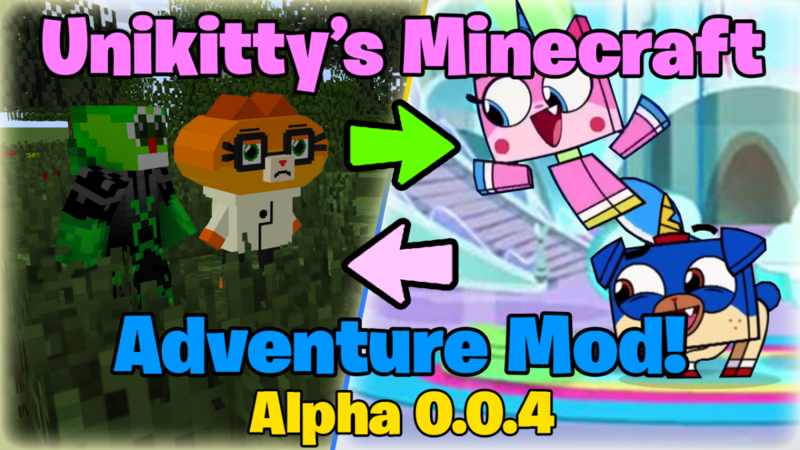 Alpha 0.0.1 - Unikitty's Adventure starts! a very first version of the mod! Nice, the cartoon hasn't even came out yet! Hello, you made good models, can you help me with 3D models please?